Customizable stainless steel dog tag with 24″ ball chain. Choose from our scripture selection or customize your own. Scripture or custom wording must be short, no more than eight words. 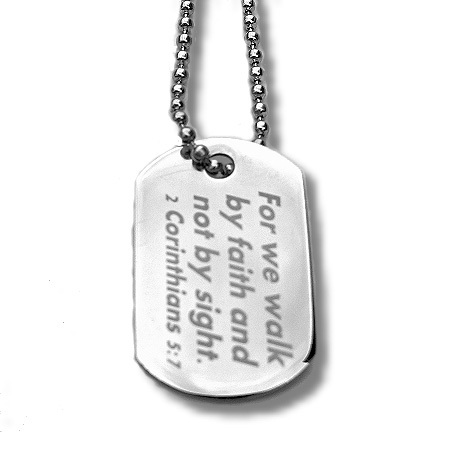 We can also engrave a personal photo or graphic on the dogtag. Add personalized message on second side too! Tag measures .87 inches x 1.47 inches.